Almost two years ago I created and released my autofocus test chart, for testing the autofocus accuracy of a camera/lens combination. Accompanied by a detailed discussion about how to test autofocus, and of issues that might crop up, it has garnered a lot of attention. My daily logs tell me that it's still one of my most popular posts. About a year ago, I was contacted by Michael Tapes of Michael Tapes Design (makers of the popular WhiBal white-balance reference card). They were working on a device to allow much more accurate/repeatable testing than my chart allowed, and he wanted to discuss my chart and my autofocus-testing experiences. 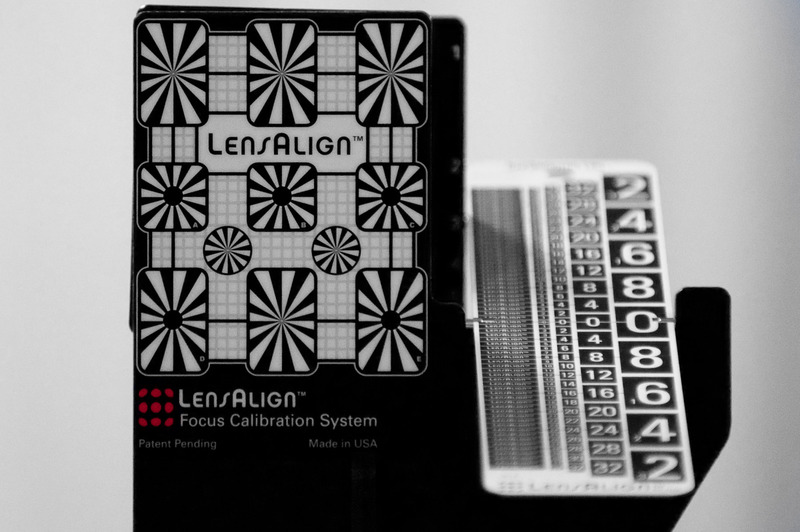 A year and many discussions (and many prototypes) later, they've finally released their LensAlign Focus Calibration System. It's better than my chart in every way, except price (my chart is free, and you can't beat that). Speaking of free, I should issue an anti-disclaimer: I was not paid for my consulting, nor for ideas from my chart that have been incorporated into LensAlign. I had/have no financial relationship with Michael and his company. I freely gave of my time, opinions, and designs because in the end, I benefit from having this product available to me. Along the way, I sort of figured that I'd get a free unit once it was done, and indeed, a final prototype arrived here in Kyoto yesterday. The unit I received yesterday (shown above) is essentially the same as from the production run of the “Pro” version they're starting to ship this week (which is apparently already sold out). The timing was sort of bad for me because I've been insanely busy, but since I've been itching to try this final version, I spent a few minutes with it this evening. 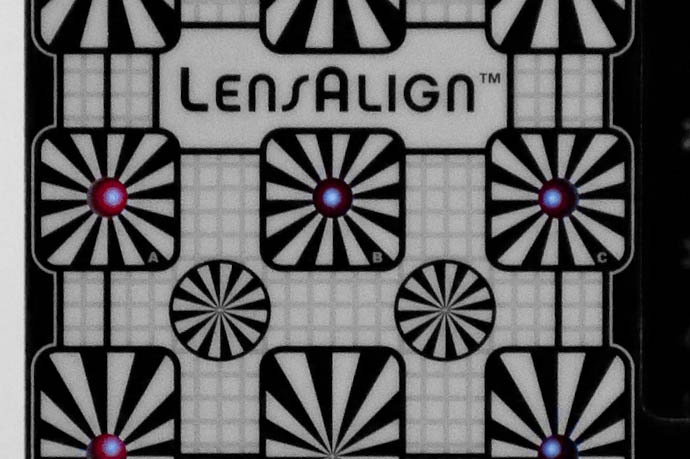 You can read a detailed discussion of what LensAlign is, why it's good, and how to use it at Imaging Resource so I won't repeat that here, but I'll say that a lot of effort and testing has gone into this design to make it very good at what it was built to do. One of its key features is how the design allows you to ensure that the focus target is absolutely parallel to the image sensor, and how that assures you of a repeatable, understandable result, every time. I took these test shots hastily in my poorly-lit living room this evening (at ISO 4500! ), but it's still pretty easy to see that the lens I used is in good shape (which it should be, since it went to Nikon twice for calibration). Now that I have this final production unit, it's very high on my todo list to check all my lenses (and when I do, I'll write up more about the LensAlign testing procedure). First, though, I need to get the appropriate mini/full HDMI cable to connect the camera to my TV so that I can view the D700's “Live View” while in front of the lens, adjusting the position of LensAlign. I was disappointed when I checked the D700's box and found no such cable, only a lower-quality composite cable, so I had to settle for that. Neither HDMI nor Live View are required when using LensAlign, but they make the setup easier. Again, I'll write more about it after I test all my lenses, but I wanted to mention the product right away because I know some readers will be excited about getting one. It can be ordered from Michael Tapes Design.